Should you buy a curved TV? - Which? 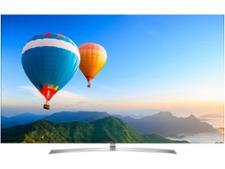 Should you buy a curved TV? Only Samsung still makes curved TVs, so does LG, Panasonic and Sony's reluctance to keep making angled displays mean you should steer clear too? 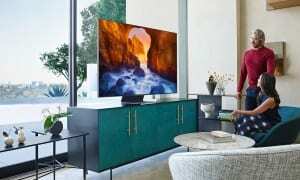 Curved TVs make up roughly a fifth of all the televisions Samsung releases every year - and it's now the only leading manufacturer to commit to curved displays. We've been testing curved TVs since 2015 and we've gone on to review 75. LG, Panasonic and Sony were making curved TVs back then, but they didn't believe in the tech to quite the same degree as Samsung. Between them, LG, Panasonic and Sony only made nine of the 75. For Samsung to still produce curved TVs, and for it to still make up a sizeable proportion of its line-up, the brand must be selling them. When you see them in a shop it's easy to understand why. The subtly angled glass is different and alluring, and makes a good living room talking point. In this guide we'll explain whether that slight curve also increases reflections, if there are any real benefits beyond an attractive, distinctive design, and show you which curved sets are worth owning. The gently angled screen on the curved TV design was supposed to draw you in and add immersion; that was the promise when they debuted. It's the same principle as IMAX screens, though they have added benefit of being colossal; the London Waterloo IMAX screen measures 26 metres by 20 metres. A curved display that gargantuan almost envelops you, drawing you into the picture while making it easier to make out objects in your peripheries. Even the biggest curved TV can't hope to match that level of immersion. Having an angled screen does increase the field of view, but it's only a very slight increase. This curved TV is fantastic. We were surprised to find that its viewing angle was better than many flat screen Samsung TVs, and it's better at displaying HDR, too. It's definitely worth seeking out. The picture quality is impeccable as is the sound, which is why this TV scores so highly despite needing to be sat centrally to enjoy the benefits. The crisp, vibrant display on this curved TV is backed up by cracking speakers. It just falls short of a Best Buy, but it's still a good option thanks to its relatively low price compared with many curved sets. Does the curve affect picture quality? It's not always easy to predict whether a TV will score highly for picture quality in our tests. Brand and price can give some indication, but we've seen plenty of expensive sets from household names come up short. The same is true for curved TVs. Some look fantastic while others are underwhelming, but what is consistent is that the angle of the screen seems to have no bearing on the overall picture quality. Clarity, detail, colour and contrast aren't obviously affected, but we've found other areas where curved screens have struggled in the past. How does the curve affect viewing angles? Whether curved or flat, some TVs have worse viewing angles than others. We measure the colour, contrast and clarity of the screen at 10 degree integers to see how much the picture quality deteriorates as you sit away from the centre. Curved TV screens curve inwards, so you would expect the viewing angle to be worse than their flatscreen counterparts, but as you can see in the graph below, that isn't necessarily the case. What the data shows is that the curve of the screen doesn't automatically make for an inferior viewing angle. It may be trickier to make a curved TV that looks good from any angle, but it's far from impossible. Odds are that you're more likely to get a better viewing angle from a flatscreen television. Do they have a problem with reflections? One problem that faced curved screens in the past was the increased reflections. The edges of the screen act as a net, refracting light back onto the screen. 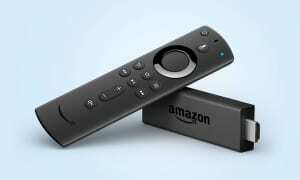 This meant we were more likely to recommend flatscreen TVs, even if curved models score well for picture and sound. 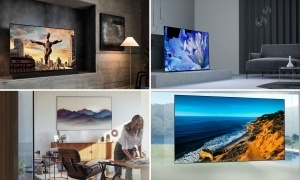 Of the models we tested in 2018, a higher proportion of curved TVs scored two stars for viewing angle than flatscreen sets, but if you've got your heart set on an angled screen then there are brilliant models to choose from that don't compromise viewing angle. 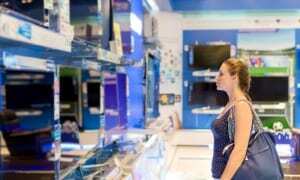 How much should you pay for a curved TV? Curved sets appear throughout Samsung's line-up each year, from the relatively inexpensive 7 Series, all the way to the pricey, high-end QLEDs that cost more than £1,000. 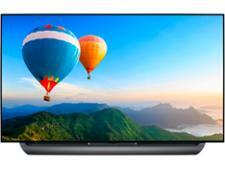 You shouldn't have to pay more for a curved TV. They can be more expensive at launch, but the prices tend to level out and match up with flatscreen models as the year goes on. 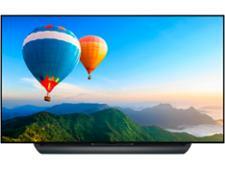 Samsung vs LG TVs: which is best?